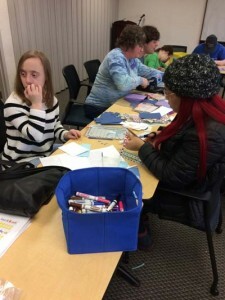 Home/Recent Event/Celebrate MLK Day with JFSA! 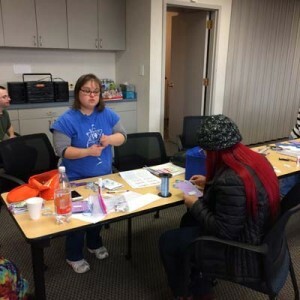 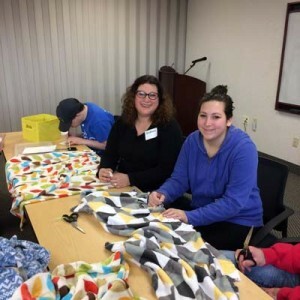 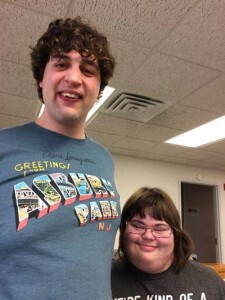 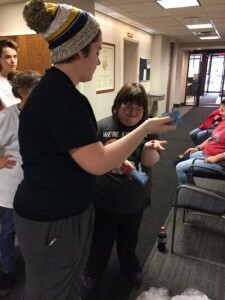 JFSA’s Horvitz YouthAbility members celebrated the legacy of Dr. Martin Luther King Jr. on Jan 16th with an afternoon of family friendly hands-on service projects that will benefit JFSA clients. 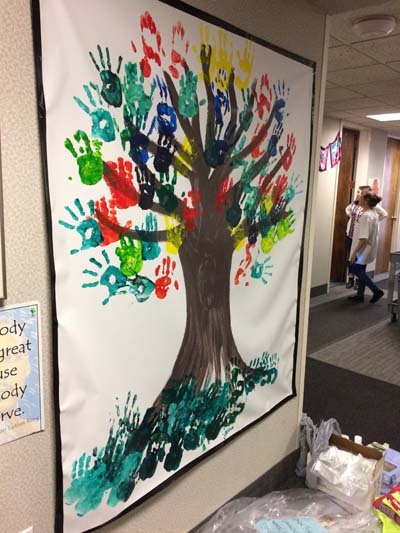 In the lobby at the Drost Family Center, young children helped paint a Community Tree Mural using their handprints as leaves on the tree. 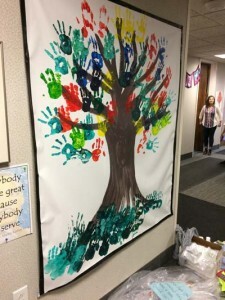 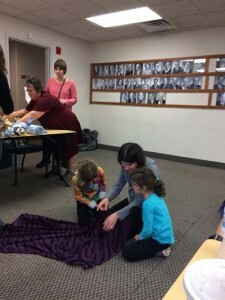 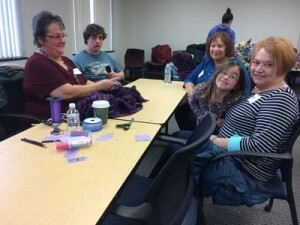 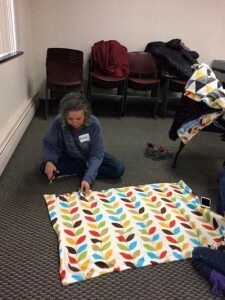 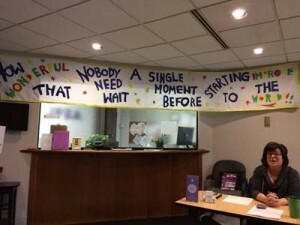 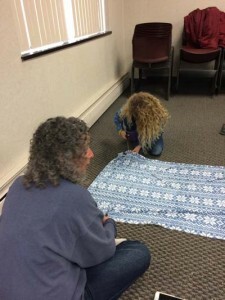 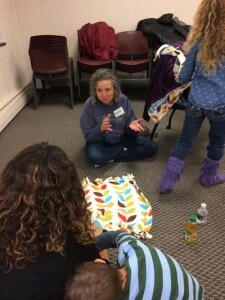 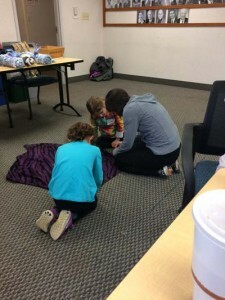 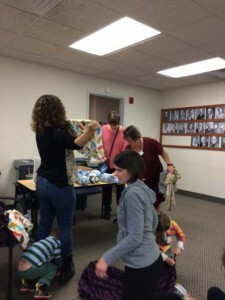 The Miller Board Room was filled with volunteers of all ages working together to make fleece blankets for older adults and women and children in the Hebrew Shelter Home, beautiful birthday and get-well greeting cards for Holocaust Survivors and older adults celebrating milestone birthdays or returning home from a hospital stay. 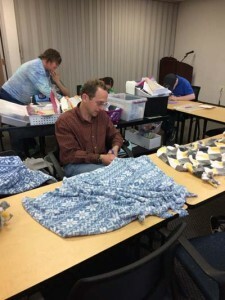 Thanks to all who chose to spend a few hours with us in service to mark this important day!